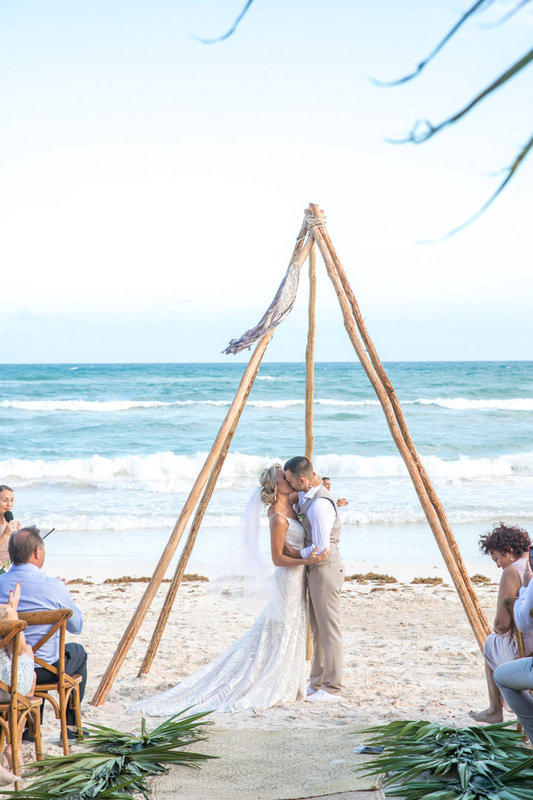 Wedding Wednesday Discussion: Wedding Fairs Good or Bad? 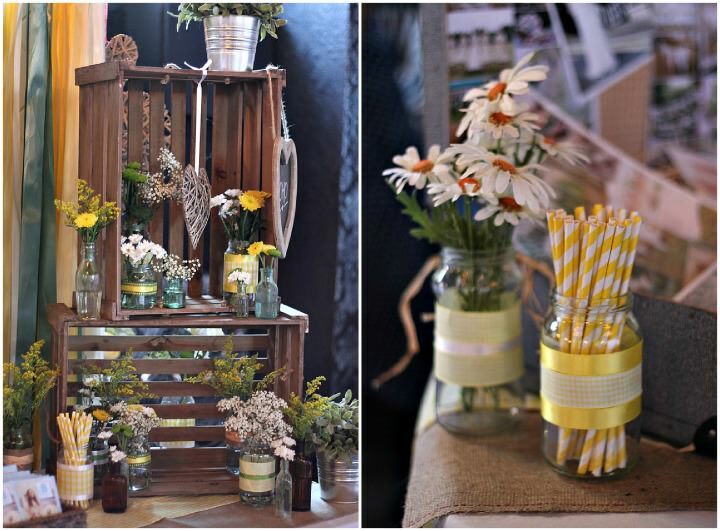 Wedding fairs, Wedding Shows, Wedding exhibitions……..what ever you want to call them! Today on Wedding Wednesday Discussions I’d like to open up the blog to you and tell me what your thoughts are. After a decision I had with some fellow wedding suppliers a few weeks ago on the subject I thought it would be a good idea to ask you the bride and groom (and other wedding suppliers) on your thoughts. There are so many fairs now, all around the country, big, small, enormous, one day events, 2 days events, some of the national shows even go on for 3 days. But do you find them worthwhile going to? Do you find they are full with the same suppliers or do you think that have a good variety? Do you get confused as to which ones to go to? Do you prefer the big national ones or the smaller local ones? Some people say that the days of the wedding fair is dead, with blogs and magazines offering the bride and groom everything they need to find the right suppliers, but don’t you prefer going out and actually meeting your wedding suppliers, touching an feeling their products? As for you the wedding supplier do you find you get much out of them? Or are you tired of the same format? 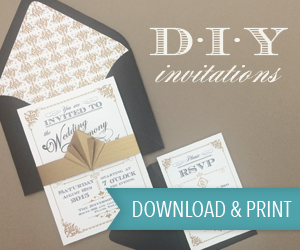 Do you only allow for wedding fairs in your marketing budget and not advertise anywhere else? Or are you a supplier who has decided not to attend any more fairs and use blog and magazine advertising instead? Or are you a wedding fair organiser? have you found they have become more or less popular over the last few years? 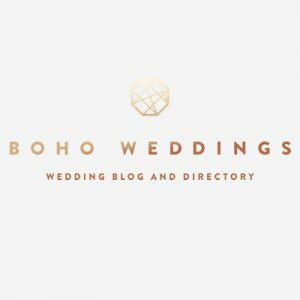 Today the Blog is wide open for you to tell me your thoughts…..everyone is welcome, bride, groom, wedding supplier, married couples. 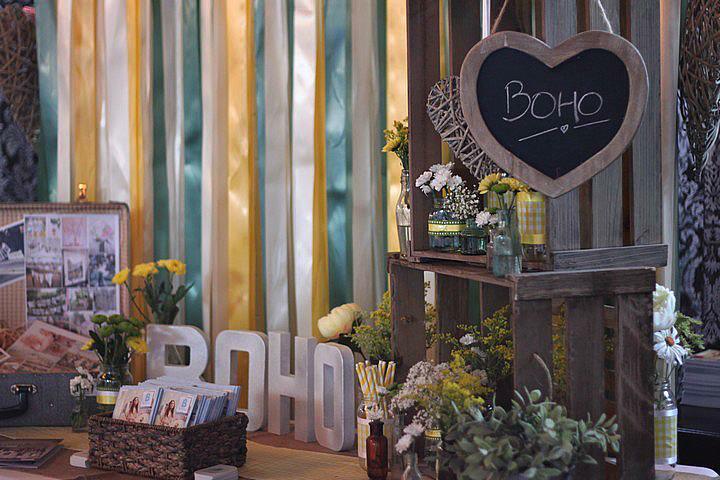 What is your experience with wedding fairs, good or bad, impartial? I’d love to hear your thoughts. Please leave a comment below, what ever your view! 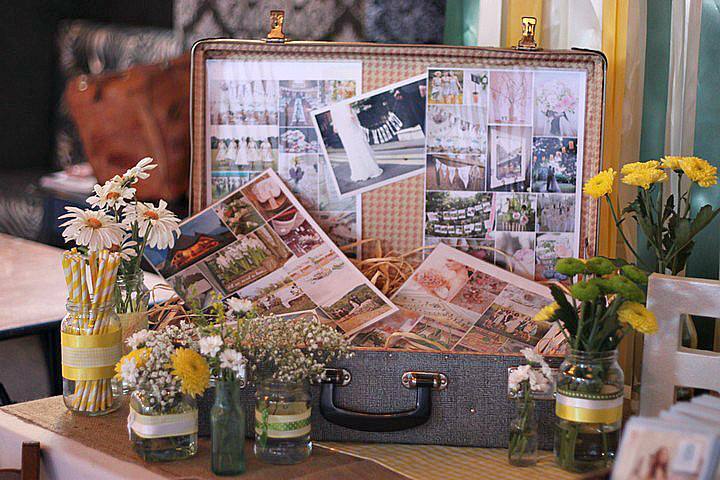 Wedding Wednesday Discussion: D.I.Y weddings..........Good or Bad? It was me who started the discussion post a few weeks ago. I felt that following the demise of The Designer Wedding show for financial reasons, the focus in the industry was very much on resurrecting a similar (improved?) show in the South, and my question was whether we wanted something like this in the North. The range of opinion in both the discussion post and some very helpful private emails was very interesting. As someone who spans both worlds – online media and advertising with my Brides Up North blog and wedding exhibitions with our branded events, I would say that wedding fairs – DONE RIGHT – are certainly not dead. It’s the DONE RIGHT bit that counts though. They need to be inspiring, well organised, well promoted and relevant to their market. I don’t think they ALWAYS need to be “alternative” or “something new” but they do need to be exciting for their target audience – the bride – whatever “type” of bride she may be. Like my online branding, our shows aim to hit a high level of quality, whilst appealing a certain bride. This girl is smart, savvy, may be a professional and wants her wedding day to be special – she may want some quirky touches, but mostly she is looking for luxury, elegance and beauty. Our shows (and blog) give her that, in her local area. We are selling out our events to exhibitors, seeing record footfalls and receiving excellent feedback season on season. I don’t believe that some other organisers are so lucky, and that’s either because they are not doing it RIGHT, or not considering their target market properly. In a nutshell, I think brides enjoy browsing online and in the flesh, and as long as the demand for both sorts of inspiration is there, I am still going to give it to them! Ok, I don’t proclaim to be some amazing tog who deserves recognition and all that, but I sure know that I feel strongly about wedding fairs, AND how they’re run. I don’t think wedding fairs are dead, but there sure are a number of those running wedding shows who need to question how they’re running them, and why. I stopped doing wedding fairs last year. First I was sick of them being SATURATED with photographers, all with exactly the same style. A bit of variation would be in order, no? Almost felt like it was considered too “out there” to be a bit different. So I’d get the bride who would come up and be nosy which is GREAT, but would then amble off and go for something more traditional, more “safe”, if you will. Rinse, repeat. Also, wedding togs having to pay extra to exhibit? Ummmmm…not entirely sure how that’s fair, but hey ho, people have to make their money I guess. Lastly, and contrary to what Julia Brides Up North says, I’m actually hearing more and more about how some wedding fairs ARE being run badly across the country, how suppliers are being left high and dry with no further contact, how money is being taken and then fairs cancelled and more – that’s the sort of thing that, as a supplier, makes me want to steer clear. That was exactly my point – there ARE shows being run badly across the country and it STINKS! The shows that work for both brides and exhibitors work because they are run well, and done right – for whatever target market. I think Lisa from The Wedding Affair made the point that people should support the shows that work, and I agree. It takes time, CARE and a lot of hard work to make a successful event, and those that are in it for a quick buck are never going to care enough. Personally, as I plaster my brand across every show I do, I take the time and put in the effort to make sure that they are done correctly and well. I would be gutted (and feel personally responsible) for a poor show or attendance. Unfortunately, with the big fayres it’s true. Thanks for bringing up this discussion. My business is a year old and I too have been evaluating if the wedding fairs I have exhibited at have been worthwhile. I find it quite hard to measure…. I think their are a lot of positives to attending including meeting local couples and making contacts within the industry which is very important. I have done 4 fairs and the organisers (bar one) have been really brilliant and also done a lot of promotion and advertising. Each fair I have exhibited at I have covered my costs by bookings received. That said, I am probably going to limit the fairs I do this year and concentrate more on online marketing. Having just exhbited at a wedding fayre that had only 5 brides through the door in the space of 5 hours (none of which wanted photography) you could well believe that the wedding fayre is dead. However, I agree with Julia that it’s not, it’s just the ‘Done Right’ bit that is vital. We get most of our wedding bookings through wedding fayres (with the rest being referrals from previous Brides and Grooms who we probably met at a wedding fayre at some point!) and like that we are able to get in front of our target audience personally. I think it’s especially important being a photographer because we’re not just selling our photography but selling ourselves. It may not be as important for people like stationers etc. but they may disagree. We’ve now decided that most of our marketing budget is going on wedding fayres but only ones that we know are going to be done well by people we know. We’re not going to go to any of the big ones but stay at the small, exclusive, luxury ones. I’m really interested in hearing from potential couples so will post this on our page as well. Hope they say that they like coming to wedding fayres or we’ll have to think about hiring a stage in a town centre or something! We are planning our wedding for 2014 and I didn’t know where to begin. So I went onto the internet and started reading blogs like this one and I found everything I needed online, I got a ton of inspiration and loads of ideas without someone giving me the big sales pitch as I browsed. I think Weding Fairs are quite an old fashioned event and I have no plans to attend any I just can’t see the point when everything I need is at the touch of a button, I will of course be getting out and about to find unusual wedding venues as I don’t want a traditional wedding. Am I being naive by not attending these fairs? Great discussion post Kelly. Its something I’ve wrangled with on and off since setting up Knots & Kisses. When i first started the business I did a few ‘local’ wedding fairs in ‘normal’ hotel wedding venues and have to say I hated the whole experience! The couples there had either already sorted their stationery and were looking for last minute bits and pieces, or were just browsing for inspiration … and none of them seemed interested in stationery which was that little bit different. I felt I had been wasting my money and was put off for life! However last year suppliers I had contact with on twitter organised a wedding fair which I felt was right up my street, I attended and had the most amazing time … all the couples there were buzzing as was the atmosphere … I got quite a few bookings and also did some really good networking. So now I am really selective about the wedding fairs I attend … I do 1 possibly 2 a year .. and only then if something comes up that I feel really reflects me and my business, and most importantly has a good day out for engaged couples at its heart. I got married last year and didn’t set foot in a wedding fair. In fact my first wedding fair was one that I exhibited at and it confirmed everything I think about fairs – or a specific kind of fair. I got one booking from that particular fair, which only just covered my cost in being there in the first place, and I thought it was run with nothing but profit for the organisers in mind. I am doing a much smaller, more targeted fair in April and I’ll see how that goes but I have good success rate from blog features and word of mouth referrals so I do kind of wonder what the point is. Perhaps I’ve not found the right fair for me yet. Who knows. P.s Kelly your stand at the DVBS looks fab! I’m a wedding photographer and last year I was desperate to get into the bigger wedding fairs and found that they were so over saturated with photographers that I was always being left on a waiting list to ever get a stand. Since then I’ve not heard a peep about whether I’m moving up that list or not. Luckily in the meantime I managed to get in with a new fair locally, which has resulted in multiple bookings for me. When you are starting out I think it is so important to actually get in front of your target market, and whilst some photographers will write off wedding fairs altogether. I would much prefer to do something productive about finding new clients than waiting for my phone to ring or email to ping. I’ve since kept exhibiting at this one ‘big’ fair (it has about 40 exhibitors and is a 1 day event) twice a year. I always manage one booking at least from it. I also exhibit with a much smaller ‘vintage’ focussed fair which brings in some great less traditional couples for me. I’ve done some which resulted in no bookings and others that brought in lots. However I do this fair more for the networking, as its helped me find a very close knit group of suppliers who I would most definitely recommend to people. And who I hope would recommend me too. For me, blog advertising has been hit and miss. I often find it a struggle to get weddings featured if there isn’t enough ‘detail orientated shots’ and it really demoralises me as weddings should be about the couples involved! By going to fairs I can be assured that the clients I’m attracting will meet me face to face, can see and feel my products and also usually be local. I’m still tempted by the bigger shows, but I don’t know whether I’ll ever make it to the top of that waiting list! I attended two wedding fairs. One was a Save the Date ‘Alternative’ style one, and one was a small local one at a local wedding venue, which was more about getting people to book the venue. I got good things out of both of them. The lady who is making my cupcakes was actually at both fairs, and while I was planning to book her after seeing her at the venue fair, the reminder of how lovely she and her product is definitely sealed the deal when I saw her again. Of course – I also met Kelly from this blog at the Nottingham fair, which was a bonus! On the whole, I didn’t love the experience but like I said, I got a lovely supplier out of my visits, so I can’t write it off entirely! Rachel, thank you! I found this really interesting! I’ve just done my first fair as a supplier and treated potential customers as I would like to be treated while browsing…being left alone to look until I want some help. I did wonder if this was the right way to go!? I tried to be conversational and not pushy and spoke to all the people visiting the stall not just the bride, I love the mums especially!! I’m looking forward to trying some of the ideas I’ve got from this post at my next one at the end of march! Another wedding photographer here. I’ve done some good fairs and some terrible ones, despite doing my research and picking carefully. I prefer smaller niche/alternative fairs in quirky venues which should attract the kind of clients I hope to attract. it’s great to get out there and meet people, especially when you’re fairly new as building up a referral base takes time. I think they’re useful for couples, again so long as they pick the right fairs to go to. My major concern is with organisers who take your money, then do next to no publicity so hardly anyone turns up. I feel the same as Nikki above, I’ve never shown work at a wedding fair as the ones near Plymouth are the bog standard hotel foyer fairs. I’d been to a few for my own wedding back in 2002 and then visited one again in 2011 and I can definitely say that the format was identical – absolutely nothing innovative at all. Not something that I feel my little business would benefit from. I’ve been thinking about exhibiting on and off for the past 3 years when I started out and can safely say there has been nothing I’ve fancied going to and if I did I couldn’t afford the fees from my small business income. aah wedding fairs.. I love them and hate them all at the same time! I love the idea of being able to spend an afternoon surrounded by all things wedding related and with people who are passionate about their wedding businesses, but then they bore me too because it’s like groundhog day every time. As a bridesmaid and now a bride to be, I’ve been to a lot of the smaller hotel based wedding fairs that are local to me and in the beginning stages of wedding planning I found it was ok to just wander and see what was available but I wasn’t drawn in by anything I was seeing at them. For me personally the local smaller ones have too many of the same type of suppliers over and over again and very rarely I have found inspiration or anything that I would want to book by going to them so I stopped going for that reason! I also hated that awkward moment where you are trying to walk past a stall and the person who represents it insists on doing the sales pitch about what you “should” have at your wedding. So the internet & wedding blogs have been my wedding fair and once you know where to look for the inspiration and for suppliers that match your own personal style there’s literally no stopping you. I found our photographers, Paul Joseph Photography, by using the Brides Up North wedding directory (massive thank you Julia!) and from looking at their website, their photo’s and their about us story it made us excited to get in contact with them. When we met up with them, we got on like a house on fire, we were on the same page with ideas and that totally sealed the deal for us and also for Paul & Kelly too as we were their kind of client. We are so glad we did it that way rather than just considering what we’d seen at wedding fairs which were more traditional and definitely not us. I think wedding fairs are definitely still a vital tool for brides and grooms as it’s a great place to see it all laid out in front of you when you don’t know where to begin. 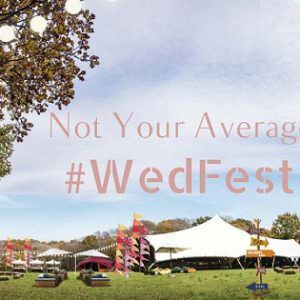 It’s only now in the latter stages of our wedding planning that have I found details of more alternative wedding fairs that are out there and I so wish I had gone to them first instead of wasting our time with ones we went to. Ahh so pleased Becki, congrats! Great discussion. I trawled the Local fairs and a few national ones when I was starting out and soon realised they weren’t for me. I know companies that swear by them but these are generally companies that target local couples, are good at selling and have mass appeal. Wedding blogs and online media in general has empowered couples to have the choice of any supplier in the world potentially. I think this is fantastic for couples and for the wedding industry as I genuinely believe this has raised the standards of suppliers and fueled a wide range of fast moving trends. I cant imagine ever deciding to do a wedding fair as I book couples from all over the place who have found an affinity with what I am doing through online media and I can’t see a more effective and appropriate method of finding those couples. I think there is definitely a place for fairs for a long time to come but they really need to evolve. I imagine fairs attached to blogs which gives couples a chance to meet suppliers that are contributors and advertisers would be massively effective. I written to much there and waffling on, sorry. It was a distraction from watching “in the night garden’ AGAIN!!!! Love this post and it has certainly made me think. As a bride to be I’ve attended 3 local wedding fairs with my groom and family members and have disliked the experience for many of the reasons listed above. “Ooooooh, I can tell you must be the bride by that gorgeous diamond on your finger” one vendor squeeled at me as we perused her stall (over the top excitement just comes across as fake). I also have to say that Nick and I have loved doing the research on the Internet ourselves and looking for ideas together at our own pace and giving our honest opinions to each other without worrying over offending the suppliers who may be stood in front of you. Having said all of that, it’s really interesting to read the suppliers points of view and has certainly made me think twice. We are coming to the end of planning our July wedding now but when any of my friends get engaged in the future I’d certainly consider suggesting they attend a Brides Up North wedding fair. Very interesting to read all of your comments! I think it is clear to say that there is a big mix of opinions,which everyone is entitled to. It seems there is room for both well run wedding fairs as well as brides and grooms finding their suppliers from internet based resources, whether that be, Google, wedding blogs or directories. There is a place for everyone in this business. 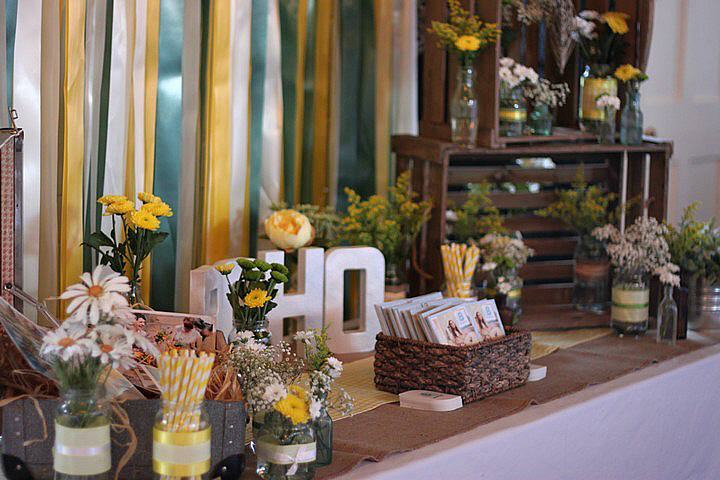 As a bride I attended just one fair – and really, really disliked the entire atmosphere. First of all I’d had to persuade my fiancé to come with me, promising that he wouldn’t feel out of place/ ignored…I was very wrong. Nobody wanted to even acknowledge he was there, let alone a groom! We both felt very out of place and uncomfortable – me that I couldn’t get him to be interested in people who ignored him, and him for those very same reasons! We left very quickly. Secondly, I felt rather bombarded by all the stall holders. I didn’t even have a chance to look at their product/service before I was being asked when/where my wedding date was etc etc. Obviously this might just be me, but I ended up feeling like a record on repeat all day. If someone in the street came up to me trying to sell something I’d say ‘not interested, thank you’ but I felt that as I had a ticket to visit I had to engage with everyone, even if I wasn’t interested. You shouldn’t feel like that. You should want to talk to a supplier because you find their product interesting, not before you’ve actually had a chance to work out their angle. Finally, there was nothing there I hadn’t seen before. Blogs, I feel, cover everything if you look hard enough. 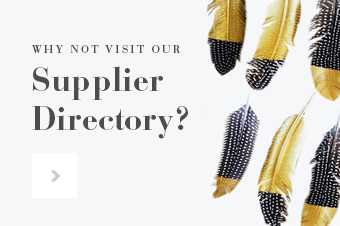 You can often find suppliers over a range of blogs, get a feel for their style and ethos and make a very good judgement on whether you like what they do. Then, you can get in touch to work out if they are right for you. All that aside, I did pop into one fair just to see my florist. I’d seen her work on blogs but wanted to see some close up, and she informed me she’d be displaying at local fair if I wanted to stop by. I went along to see her display and have an informal chat, and it was excellent to see her range and her ideas with no obligation. I have no idea if that is helpful – hope so! As a photographer it’s always great (and important) to meet couples face to face, they get to see your work and standard of albums and so fairs in this respect have an important role. However as a vendor choosing the right venue to exhibit at is really important, and even then if it’s not promoted properly its a complete waste of time. I exhibited at an very smart hotel near me last year, it has everything going for it, hosts loads of weddings each year and is one of the best in the area. However, the two fairs it holds each year are so poorly promoted that footfall is light to say the least. I just don’t get why they don’t publicise it more! As someone said earlier, its a love hate thing with both vendors and couples! I hate the whole being in someones face doing the hard sell approach, much rather letting people flick through albums and asking questions in their own time. I do love however getting out there and meeting people face to face, and if the fair is properly run and promoted this can be a very rewarding thing to be involved with. I too think this is a great topic. Previously having worked for a corporate company before becoming a full-time blogger, we attended exhibits and we ended up pulling out of most of them. As mentioned by many already, if you choose to participate in these shows, you must select wisely. 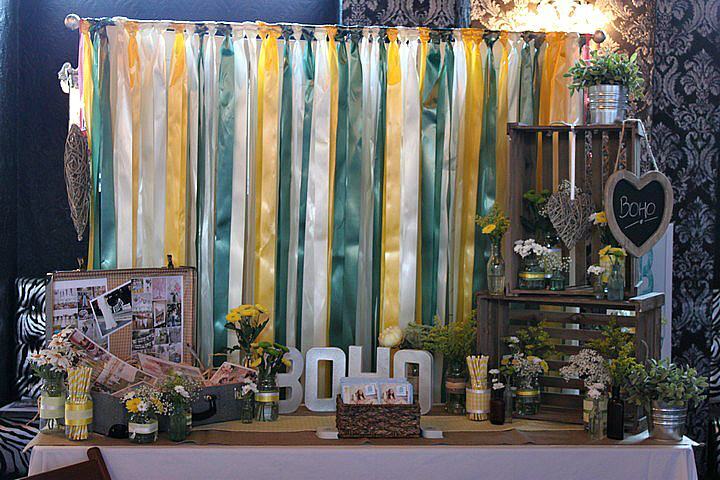 Also having attended bridal shows for my own wedding, the large ones can be a bit cheesy and definitely overwhelming. I think you have more freedom to research vendors on your on time, narrow them down and then have an in person meeting. This is still super important!